The Bank of New York Mellon Corporation, doing business as BNY Mellon, is an American worldwide banking and financial services holding company headquartered in New York City. It was formed on July 1, 2007, as a result of the merger of The Bank of New York and Mellon Financial Corporation. It is the world's largest custodian bank and asset servicing company, with $1.7 trillion in assets under management and $33.1 trillion in assets under custody as of December 2018. Through its Bank of New York predecessor, it is one of the three oldest banking corporations in the United States, and among the oldest banks in the world, having been established in June 1784 by a group that included American Founding Fathers Alexander Hamilton and Aaron Burr. Mellon had been founded in 1869 by the Mellon family of Pittsburgh, which included Secretary of the Treasury Andrew W. Mellon. The Walton Mansion housed the Bank of New York from 1784 to 1787. The first bank in the U.S. was the Bank of North America in Philadelphia, which was chartered by the Continental Congress in 1781; Alexander Hamilton, Thomas Jefferson and Benjamin Franklin were among its founding shareholders. In February 1784, The Massachusetts Bank in Boston was chartered. The shipping industry in New York City chafed under the lack of a bank, and investors envied the 14% dividends that Bank of North America paid, and months of local discussion culminated in a June 1784 meeting at a coffee house on St. George's Square which led to the formation of the Bank of New York company; it operated without a charter for seven years. The initial plan was to capitalize the company with $750,000, a third in cash and the rest in mortgages, but after this was disputed the first offering was to capitalize it with $500,000 in gold or silver. When the bank opened on June 9, 1784, the full $500,000 had not been raised; 723 shares had been sold, held by 192 people. Aaron Burr had three of them, and Hamilton had one and a half shares. The first president was Alexander McDougall and the Cashier was William Seton. Its first offices were in the old Walton Mansion in New York City. In 1787, it moved to a site on Hanover Square that the New York Cotton Exchange later moved into. The bank provided the United States government its first loan in 1789. The loan was orchestrated by Hamilton, then Secretary of the Treasury, and it paid the salaries of United States Congress members and President George Washington. The Bank of New York was the first company to be traded on the New York Stock Exchange when it first opened in 1792. In 1796, the bank moved to a location at the corner of Wall Street and William Street. The bank had a monopoly on banking services in the city until the Bank of the Manhattan Company was founded by Aaron Burr in 1799; the Bank of New York and Hamilton vigorously opposed its founding. During the 1800s, the bank was known for its conservative lending practices that allowed it to weather financial crises. It was involved in the funding of the Morris and Erie canals, and steamboat companies. The bank helped finance both the War of 1812 and the Union Army during the American Civil War. Following the Civil War, the bank loaned money to many major infrastructure projects, including utilities, railroads, and the New York City Subway. Through the early 1900s, the Bank of New York continued to expand and prosper. In July 1922, the bank merged with the New York Life Insurance and Trust Company. The bank continued to profit and pay dividends throughout the Great Depression, and its total deposits increased during the decade. In 1948, the Bank again merged, this time with the Fifth Avenue Bank, which was followed by a merger in 1966 with the Empire Trust Company. The bank's holding company was created in 1969. In 1988, the Bank of New York merged with Irving Bank Corporation after a year-long hostile take over bid by Bank of New York. Irving had been headquartered at 1 Wall Street and after the merger, this became the headquarters of the Bank of New York. From 1993 to 1998, the bank made 33 acquisitions, including acquiring JP Morgan’s Global Custody Business in 1995. Ivy Asset Management was acquired in 2000, and the bank acquired Pershing LLC, the United States' second-largest trade clearinghouse, in 2003. In 2005, the bank settled a US federal investigation that began in 1996 concerning money laundering related to post-Soviet privatization in Russia. The illegal operation involved two Russian emigres, one of whom was a Vice President of the bank, moving over US$7 billion via hundreds of wires. In 2006, the Bank of New York traded its retail banking and regional middle-market businesses for J.P. Morgan Chase's corporate trust assets. The deal signaled the bank's exit from retail banking. Mellon Financial was founded as T. Mellon & Sons' Bank in Pittsburgh, Pennsylvania, in 1869 by retired judge Thomas Mellon and his sons Andrew W. Mellon and Richard B. Mellon. The bank invested in and helped found numerous industrial firms in the late 1800s and early 1900s including Alcoa, Westinghouse, Gulf Oil, General Motors and Bethlehem Steel. Both Gulf Oil and Alcoa are, according to the financial media, considered to be T. Mellon & Sons' most successful financial investments. In 1902, T. Mellon & Sons' name was changed to the Mellon National Bank. The firm merged with the Union Trust Company, a business founded by Andrew Mellon, in 1946. The newly formed organization resulting from the merger was named the Mellon National Bank and Trust Company, and was Pittsburgh's first US$1 billion bank. The bank formed the first dedicated family office in the United States in 1971. A reorganization in 1972 led to the bank's name changing to Mellon Bank, N.A. and the formation of a holding company, Mellon National Corporation. Mellon Bank acquired multiple banks and financial institutions in Pennsylvania during the 1980s and 1990s. In 1992, Mellon acquired 54 branch offices of Philadelphia Savings Fund Society, the first savings bank in the United States, founded in 1819. In 1993, Mellon acquired The Boston Company from American Express and AFCO Credit Corporation from The Continental Corporation. The following year, Mellon merged with the Dreyfus Corporation, bringing its mutual funds under its umbrella. In 1999, Mellon Bank Corporation became Mellon Financial Corporation. Two years later, it exited the retail banking business by selling its assets and retail bank branches to Citizens Financial Group. On December 4, 2006, the Bank of New York and Mellon Financial Corporation announced they would merge. The merger created the world's largest securities servicing company and one of the largest asset management firms by combining Mellon’s wealth-management business and the Bank of New York’s asset-servicing and short-term-lending specialties. The companies anticipated saving about $700 million in costs and cutting around 3,900 jobs, mostly by attrition. 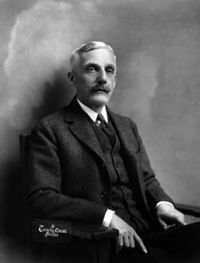 The deal was valued at $16.5 billion and under its terms, the Bank of New York's shareholders received 0.9434 shares in the new company for each share of the Bank of New York that they owned, while Mellon Financial shareholders received 1 share in the new company for each Mellon share they owned. The Bank of New York and Mellon Financial entered into mutual stock option agreements for 19.9 percent of the issuer's outstanding common stock. The merger was finalized on July 1, 2007. The company's principal office of business at the One Wall Street office previously held by the Bank of New York. The full name of the company became The Bank of New York Mellon Corp., with the BNY Mellon brand name being used for most lines of business. In October 2008, the U.S. Treasury named BNY Mellon the master custodian of the Troubled Asset Relief Program (TARP) bailout fund during the financial crisis of 2007 to 2010. BNY Mellon won the assignment, which included handling accounting and record-keeping for the program, through a bidding process. In November 2008, the company announced that it would lay-off 1,800 employees, or 4 percent of its global workforce, due to the financial crisis. According to the results of a February 2009 stress test conducted by federal regulators, BNY Mellon was one of only three banks that could withstand a worsening economic situation. The company received $3 billion from TARP, which it paid back in full in June 2009, along with US$136 million to buy back warrants from the Treasury in August 2009. In August 2009, BNY Mellon purchased Insight Investment, a management business for external funds, from Lloyds Banking Group. The company acquired PNC Financial Services' Global Investment Servicing Inc. in July 2010 and Talon Asset Management's wealth management business in 2011. By 2013, the company's capital had steadily risen from the financial crisis. In the results of the Federal Reserve's Dodd-Frank stress test in 2013, the bank was least affected by hypothetical extreme economic scenarios among banks tested. It was also a top performer on the same test in 2014. BNY Mellon began a marketing campaign in 2013 to increase awareness of the company that included a new slogan and logo. In 2013, the bank started building a new IT system called NEXEN. NEXEN uses open source technology and includes components such as an API store, data analytics, and a cloud computing environment. In May 2014, BNY Mellon sold its 1 Wall Street headquarters, and in 2015, moved into leased space at Brookfield Place. In June 2014, the company combined its global markets, global collateral services and prime services to create the new Markets Group, also known as BNY Markets Mellon. The company expanded its Hong Kong office in October 2014 as part of the company's plans to grow its wealth management business. Between 2014 and 2016, BNY Mellon opened innovation centers focused on emerging technologies, big data, digital and cloud-based projects, with the first opening in Silicon Valley. In September 2017, BNY Mellon announced that it agreed to sell CenterSquare Investment Management to its management team and the private equity firm Lovell Minnick Partners. The transaction is subject to standard regulatory approvals and is expected to be completed by the end of 2017. In January 2018, BNY Mellon announced that it was again moving its headquarters location, less than four years after its prior move. The headquarters location was announced as 240 Greenwich Street, a renaming of the already BNY Mellon-owned 101 Barclay Street office building in Tribeca, New York City. BNY Mellon had owned the office building for over 30 years, with control of the location obtained via 99-year ground lease. The same year, the company purchased the location from the city for $352 million. The following graphs represent the net income and assets and liabilities for the years 2000 to 2016 for the Bank of New York Mellon, the Bank of New York Mellon Corporation's New York state-chartered bank and an FDIC-insured depository institution. BNY Mellon operates in 35 countries in the Americas, Europe, the Middle East and Africa (EMEA), and Asia-Pacific. The company employed 51,300 people as of December 2018. In October 2015, the group's American and global headquarters relocated to 225 Liberty Street, as the former 1 Wall Street building was sold in 2014. In July 2018, the company changed its headquarters again, this time to its existing 240 Greenwich Street location in New York (previously addressed 101 Barclay St). The group's EMEA headquarters are located in London and its Asia-Pacific headquarters are located in Hong Kong. The Bank's primary functions are managing and servicing the investments of institutions and high-net-worth individuals. BNY Mellon's two primary businesses are Investment Services and Investment Management, which offer services for each stage of investment, from creation through to trading, holding, management, distribution and restructuring. BNY Mellon's clients include 80 percent of Fortune 500 companies. The company also serves 77 percent of the top 100 endowments, 87 percent of the top 1,000 pension and employee benefit funds, 51 percent of the top 200 life and health insurance companies and 50 percent of the top 50 universities. BNY Mellon's Investment Services business represents approximately 72 percent of the company's revenue and it has $31.1 trillion under its custody or administration as of September 2016. The financial services offered by the business include asset servicing, alternative investment services, broker-dealer services, corporate trust services and treasury services. Other offerings include global collateral services, foreign exchange, securities lending, middle and back office outsourcing, and depository receipts. BNY Mellon's subsidiary Pershing LLC handles securities services, including execution, settlement, and clearing. It also provides back office support to financial advisors. In 2014, the company formed a new Markets Group, which offers collateral management, securities finance, foreign exchange and capital markets. The group is now known as BNY Mellon Markets. BNY Mellon's Investment Management business generates 28 percent of the company's revenue and had US$1.7 trillion (Q4 2016) in assets under management. The Investment Management business operates several asset management boutiques and as of 2014 was the largest multi-boutique investment manager in the world. BNY Mellon's Wealth Management unit handles the private banking, estate planning, family office services, and investment servicing and management of high-net-worth individuals and families. As of 2014, it ranks 7th among wealth management businesses in the United States. Starting in 2013, the unit began expansion efforts, including opening eight new banking offices, increasing salespeople, bankers, and portfolio managers on staff, and launching an awareness campaign for wealth management services through television ads. Charles W. Scharf was appointed CEO in July 2017 and became Chairman after former CEO and Chairman Gerald Hassell retired at the end of 2017. Hassell had been Chairman and CEO since 2011, after serving as BNY Mellon's president from 2007 to 2012 and as the president of the Bank of New York Mellon from 1998 until its merger. Karen Peetz served as president (the bank's first female president) from 2013 to 2016, when she retired; the company did not appoint a new president when she retired. Thomas Gibbons served as CFO between 2008 and 2017, when he also serves as vice chairman. In 2017, Gibbons was replaced as CFO by Michael P. Santomassimo. BNY Mellon's Investment Management business is run by CEO Mitchell Harris, and the company's Investment Services business was led by Brian Shea until his retirement in December 2017. As of July 2017, the company's board members were Linda Z. Cook, Nicholas M. Donofrio, Joseph J. Echevarria, Edward P. Garden, Jeffrey A. Goldstein, Gerald L. Hassell, John M. Hinshaw, Edmund F. (Ted) Kelly, John A. Luke Jr., Jennifer B. Morgan, Mark A. Nordenberg, Elizabeth E. Robinson, Charles W. Scharf and Samuel C. Scott III. In 2008, BNY Mellon formed a Board of Directors corporate social responsibility committee to set sustainability goals for the company. The company's corporate social responsibility activities include philanthropy, social finance in the communities the bank is located in, and protecting financial markets globally. BNY Mellon's philanthropic activities include financial donations and volunteerism. The company matches employee volunteer hours and donations with financial contributions through its Community Partnership program. Between 2010 and 2012, the company and its employees donated approximately $100 million to charity. In 2014, the company worked with the Forbes Fund to create a platform that connects nonprofit organizations with private businesses to solve social challenges. The company received a 100 A rating in 2013, 2014 and 2015 by the CDP, which measures corporate greenhouse gas emissions and disclosures. BNY Mellon was named on the Dow Jones Sustainability North America Index in 2013, 2014 and 2015, and the World Index in 2014, 2015 and 2016. Another one of the company's focuses has been building efficiency. As of 2014, the company has saved $48 million due to building efficiency. Five of its buildings have achieved Leadership in Energy and Environmental Design (LEED-EB) certification and 23 have interiors that are LEED certified. BNY Mellon also has business resource groups for employees that are focused on diversity and inclusion. In 2009, Karen Peetz co-founded the BNY Mellon Women’s Initiative Network (WIN), a resource group for female employees' professional development. As of 2013, WIN had 50 chapters. Other groups include PRISM for LGBT employees, IMPACT, which serves multicultural employees and HEART for employees with disabilities. BNY Mellon also has services for returning military, including a tool to help veterans align military skills and training with jobs at the company. In 2014, BNY Mellon was recognized for its diversity practices by the National Business Inclusion Consortium, which named it Financial Services Diversity Corporation of the Year. In 2009, the company began an innovation program for employees to suggest ideas for large-scale projects and company improvement. Ideas from the initial pilot program generated approximately $165 million in pretax profit. The program results in an annual contest called "ACE" in which teams pitch their ideas. In October 2011, the U.S. Justice Department and New York's attorney general filed civil lawsuits against the Bank of New York, alleging foreign currency fraud. The suits hold that the bank deceived pension-fund clients by manipulating the prices assigned to them for foreign currency transactions. Allegedly, the bank selected the day's lowest rates for currency sales and highest rates for purchases, appropriating the difference as corporate profit. The scheme was said to have generated $2 billion for the bank, at the expense of millions of Americans' retirement funds, and to have transpired over more than a decade. Purportedly, the bank would offer secret pricing deals to clients who raised concerns, in order to avoid discovery. Bank of New York defended itself vigorously, maintaining the fraud accusations were "flat out wrong" and warning that as the bank employed 8,700 employees in New York, any damage to the bank would have negative repercussions for the state of New York. In March 2015, the company admitted to facts concerning the misrepresentation of foreign exchange pricing and execution. BNY Mellon's alleged misconduct in this area includes representing pricing as best rates to its clients, when in fact they were providing clients with bad prices while retaining larger margins. In addition to letting go key executives, the company agreed to pay a total of US$714 million to settle related lawsuits. In May 2015, BNY Mellon agreed to pay $180 million to settle a foreign exchange-related lawsuit. In May 2016, multiple plaintiffs filed suit against BNY Mellon, alleging that the company had breached its fiduciary duty to ERISA plans that held American Depositary Receipts by overcharging retirement plans that invested in foreign securities. In March 2017, the presiding judge declined to dismiss the suit. In December 2017, another lawsuit alleged that BNY Mellon manipulated foreign exchange rates was filed by Sheet Metal Workers’ National Pension Fund. BNY Mellon agreed to pay $12.5 million to settle the 2016 lawsuit in December 2018. In February 2008, BNY Mellon suffered a security breach resulting in the loss of personal information when backup tapes containing the personal records of 4.5 million individuals went missing. Social security numbers and bank account information were included in the records. The breach was not reported to the authorities until May 2008, and letters were sent to those affects on May 22, 2008. In August 2008, the number of impacted individuals was raised to 12.5 million, 8 million more than originally thought. On Saturday, August 22, 2015, BNY Mellon's SunGard accounting system broke down during a software change. This led to BNY Mellon being unable to calculate net asset value (NAV) for 1,200 mutual funds via automated computer system. Between the breakdown and the eventual fix, BNY Mellon calculated the NAV values using alternative means, such as manual operation staff. By Wednesday, August 26, the system was still not fully operational. The system was finally operational to regular capacity the following week. As a result of a Massachusetts Securities Division into the company's failure and lack of a backup plan, BNY Mellon paid $3 million. In December 2016, another major technology issue caused BNY Mellon to be unable to process payments related to the SWIFT network. As of the time of the issue, BNY Mellon processed about 160,000 global payments daily totally an average of $1.6 trillion. The company was unable to process payments for a 19 hours, which led to a backlog of payments and an extension of Fedwire payment services. According to a New York City Comptroller audit in April 2017, BNY Mellon was in violation of a privately owned public space (POPS) agreement for at least 15 years. In constructing the 101 Barclay Street building in Lower Manhattan, BNY Mellon had received a permit allowing modification of height and setback regulations in exchange for providing a lobby accessible to the general public 24 hours a day. Auditors and members of the public had been unable to access or assess the lobby for many years, and were actively prevented from doing so by BNY Mellon security. In September 2018, the company began to permit public access to a portion of the lobby. However, BNY Mellon remains in violation of its agreement, as the lobby must be accessible to the public 24 hours a day. BNY Mellon settled foreign bribery charges with the U.S. Securities and Exchange Commission (SEC) in August 2015 regarding its practice of providing internships to relatives of officials at a Middle Eastern investment fund. The U.S. SEC found BNY Mellon in violation of the Foreign Corrupt Practices Act. The case was settled for $14.8 million. In March 2019, BNY Mellon staff considered legal options after the company banned employees from working from home. In particular, staff cited concerns regarding the impact on childcare, mental health, and diversity. BNY Mellon reverted the ban as a result of employee outcry. In September 2009, BNY Mellon settled a lawsuit that had been filed against the Bank of New York by the Russian government in May 2007 for money laundering; the original suit claimed $22.5 billion in damages and was settled for $14 million. In 2011, South Carolina sued BNY Mellon for allegedly failing to adhere to the investment guidelines relating to the state’s pension fund. BNY Mellon settled with the state in June 2013 for $34 million. In July 2012, BNY Mellon settled a class action lawsuit relating to the collapse of Sigma Finance Corp. The suit alleged that BNY Mellon invested and lost cash collateral in medium-term notes. The company settled the lawsuit for $280 million. As of 2015, BNY Mellon was the world's largest custody bank, the sixth largest investment management firm in the world and the seventh largest wealth management firm in the United States. In 2018, BNY Mellon ranked 175 on the Fortune 500 and 250 on the Financial Times Global 500. It was named one of world's 50 Safest Banks by Global Finance in 2013 and 2014, and one of the 20 Most Valuable Banking Brands in 2014 by The Banker. The bank says it is the longest running bank in the United States, and whether it deserves this recognition is sometimes disputed by its rivals and also by some historians. The Bank of North America was chartered in 1781, and was absorbed by a series of other entities until it was acquired by Wells Fargo. Similarly, The Massachusetts Bank went through a series of acquisitions and ended up as part of Bank of America. The Bank of New York remained independent, absorbing other companies, until its merger with Mellon. There is no doubt that the BNY Mellon is at least the third oldest bank in the US. Since 2012, BNY Mellon has expanded its number of sponsorships. It is the title sponsor of the Oxford and Cambridge Boat Race in London, which had been called the BNY Mellon Boat race from 2012 to 2015. The company also sponsors the Head of the Charles Regatta in Boston. In 2013, the company became a 10-year sponsor of the San Francisco 49ers and a founding partner of Levi's Stadium. The company is a regular sponsor of the Royal Academy of Arts in London. Wikimedia Commons has media related to The Bank of New York Mellon. ^ a b c "The Bank of New York Mellon Corporation 2018 Annual Report". U.S. Securities and Exchange Commission. U.S. Securities and Exchange Commission. Retrieved 23 March 2019. ^ a b c d David Teather (December 5, 2006). "Bank of New York merges with Mellon in £8bn deal". The Guardian. London. Retrieved 14 January 2015. ^ a b c Dan Fitzpatrick (May 25, 2007). "Mellon Merger OK'D, HQ On Way Out". Pittsburgh Post-Gazette. ^ a b c Patty Tascarella (July 2, 2007). "Bank of New York, Mellon complete merger". Pittsburgh Business Times. Retrieved 23 January 2015. ^ a b c d e Wallack, Todd (20 December 2011). "Which bank is the oldest? Accounts vary - The Boston Globe". Boston Globe. ^ a b c d e "The Story of the Bank of New York; Oldest in New York and Second Oldest Recognized Bank in the Country". The New York Times. 14 June 1909. ^ a b Steven H. Jaffe; Jessica Lautin (2014). Capital of Capital: Money, Banking, and Power in New York City. New York: Columbia University Press. pp. 9, 23. ISBN 0231537719. Retrieved 14 January 2015. ^ J. T. W. Hubbard (1995). For Each, the Strength of All: A History of Banking in the State of New York. NYU Press. p. 43. ISBN 978-0-8147-3514-5. ^ James Alexander Hamilton (1869). Reminiscences of James A. Hamilton: or, Men and events, at home and abroad, during three quarters of a century. C. Scribner & co. p. 265. ^ Rhodes' Journal of Banking ...: A Practical Banker's Magazine vol 21. Chicago: B. Rhodes & Company. 1894. p. 752. Retrieved 14 January 2015. ^ a b "Bank of New York Profile". The New York Job Source. Retrieved 2007-08-08. ^ "Timeline | BNY Mellon". www.bnymellon.com. Retrieved 2018-04-13. ^ a b c d Charles R. Geisst (2009). Encyclopedia of American Business History. Infobase Publishing. pp. 42–43. ISBN 1438109873. Retrieved 14 January 2015. ^ a b c "Bank of New York Building Profile". NYC Architecture. Retrieved 22 January 2015. ^ a b Adrian Cox (December 4, 2006). "Bank of New York agrees to acquire Mellon Financial". The Salt Lake Tribune. Retrieved 22 January 2015. ^ a b c d e f "The Bank of New York Company, Inc. - Company Profile, Information, Business Description, History, Background Information on The Bank of New York Company, Inc". referenceforbusiness.com. Reference for Business. Retrieved 14 January 2015. ^ "New York's Oldest". TIME. time.com. 26 March 1934. Retrieved 14 January 2015. ^ Quint, Michael (8 October 1988). "Irving Signs Merger Deal, Ending Fight". The New York Times. ^ "Bank of New York (Formerly Irving Trust Company) Landmark". New York Architecture. Retrieved 13 September 2017. ^ "Bank of New York Acquires CSFB's Pershing For $2 Billion". TheStreet.com. January 8, 2003. Retrieved 14 January 2015. ^ Timothy L., O'Brien; Bonner, Raymond (17 February 2000). "Banker and Husband Tell Of Role in Laundering Case". The New York Times. ^ O'Brien, Timothy L. (9 November 2005). "Bank Settles U.S. Inquiry Into Money Laundering". The New York Times. ^ Kathie O'Donnell (April 10, 2006). "Bank of NY and J.P. Morgan swap assets". MarketWatch. Retrieved 22 January 2015. ^ a b "Mellon Financial Profile". The New York Job Source. Retrieved 14 January 2015. ^ a b c d e f "Mellon Financial Corporation — Company Profile, Information, Business Description, History, Background Information on Mellon Financial Corporation". referenceforbusiness.com. Reference for Business. Retrieved 22 January 2015. ^ a b Abram Brown (July 8, 2014). "175 Years Later, The Mellons Have Never Been Richer. How'd They Do It?". Forbes. Retrieved 22 January 2015. ^ "The Mellons Go to Work Again". TIME. February 7, 1946. Retrieved 22 January 2015. ^ Will Ashworth (January 8, 2015). "The light shines brightly on the family office". Wealth Professional. Retrieved 22 January 2015. ^ Michael Quint (December 6, 1989). "Mellon Bank to Buy 54 of Meritor's Units". The New York Times. Retrieved 22 January 2015. ^ a b c Lloyd Vries (December 4, 2006). "Bank Of New York To Merge With Mellon". CBS News. Retrieved 22 January 2015. ^ Eric Dash (October 14, 2008). "Bank of New York Mellon Will Oversee Bailout Fund". The New York Times. Retrieved 15 January 2015. ^ "WaMu, BNY Mellon latest to shed jobs". NBC News. AP. November 21, 2011. Retrieved 15 January 2015. ^ Maha Atal (July 23, 2009). "Banker: "TARP helped avert a global calamity"". Fortune. Retrieved 23 January 2015. ^ Stephen Bernard (June 17, 2009). "Bank of New York Mellon repays TARP funds". The Seattle Times. Retrieved 15 January 2015. ^ Johnathan Stempel (August 5, 2009). "Bank of NY Mellon pays $136 mln for TARP warrants". Reuters. Retrieved 15 January 2015. ^ Steve McGrath and Margot Patrick (August 13, 2009). "Lloyds to Sell Insight Investment to Bank of New York Mellon". The Wall Street Journal. Retrieved 14 January 2015. ^ "BNY Mellon Initiates GFI Group". Zacks. July 7, 2010. Retrieved 15 January 2015. ^ Charles Stein (April 28, 2011). "BNY Mellon to Buy Talon Wealth Management to Expand in Chicago". Bloomberg. Retrieved 15 January 2015. ^ Joe Adler (March 7, 2013). "Fed Unveils Dodd-Frank Stress Test Results". American Banker. Retrieved 23 January 2015. ^ Halah Touryalai (March 20, 2014). "Stress Test Results: Big Banks Look Healthier As 29 of 30 Pass, Zions Fails". Forbes. Retrieved 23 January 2015. ^ Noreen O'Leary (August 28, 2013). "BNY Mellon Review Meetings Set for Next Week New CMO Judy Hu leads the search". AdWeek. Retrieved 15 January 2015. ^ Andrew McMains (September 12, 2013). "TBWA Wins BNY Mellon's Global Account". Adweek. Retrieved 15 January 2015. ^ Babcock, Charles (26 October 2015). "BNY Mellon Transforms IT One Step At A Time". InformationWeek. Retrieved 26 March 2017. ^ Baliva, Zach (15 June 2016). "Jennifer Cole is Helping Finance Giant BNY Mellon Become a Tech Giant Too". Sync. Guerrero Howe. Retrieved 26 March 2017. ^ Boulton, Clint (2 April 2017). "BNY Mellon Channels Silicon Valley Development Practices". The Wall Street Journal. Dow Jones & Company. Retrieved 26 March 2017. ^ Fogarty, Susan (21 October 2016). "Banking On Open Platforms And APIs". NetworkComputing. UBM. Retrieved 26 March 2017. ^ Bloomberg News (May 21, 2014). "BNY Mellon reach $585M deal to sell HQ". Crain's New York Business. ^ a b Saabira Chaudhuri and Keiko Morris (June 26, 2014). "BNY Mellon to Keep Headquarters in New York City". The Wall Street Journal. Retrieved 15 January 2015. ^ a b Rick Baert (June 25, 2014). "BNY Mellon combines 3 units into new group". Pensions & Investments. Retrieved 20 January 2015. ^ a b "Jeannine Lehman set to leave BNY Mellon". Global Investor. 20 July 2016. Retrieved 20 October 2016. ^ a b Henny Sender (October 22, 2015). "BNY Mellon launches Asia wealth management strategy". Financial Times. Retrieved 14 January 2015. ^ Clint Boulton (November 20, 2014). "BNY Mellon Hiring Tech Talent for Silicon Valley Innovation Center". The Wall Street Journal. Retrieved 23 January 2015. ^ Greg MacSweeney (December 2, 2014). "BNY Mellon Aims to Tap Data Science Talent In Silicon Valley". Wall Street and Technology. Archived from the original on 2015-01-06. Retrieved 15 January 2015. ^ JD Alois (November 27, 2016). "BNY Mellon's 8th Innovation Center Has Opened in Singapore". Crowdfund Insider. Retrieved 26 January 2017. ^ BNY Mellon Investment Management (2017-09-20). "BNY Mellon Investment Management Announces Sale of the CenterSquare Business to CenterSquare Management and Lovell Minnick Partners". PR Newswire. Retrieved 2017-09-20. ^ Baer, Justin; Morris, Keiko (2018-01-31). "Bank of New York Mellon Plans to Move Its Corporate Headquarters in Lower Manhattan". Wall Street Journal. ISSN 0099-9660. Retrieved 2019-03-23. ^ GmbH, finanzen net. "BNY Mellon To Move Headquarters For Second Time In Four Years | Markets Insider". markets.businessinsider.com. Retrieved 2019-03-23. ^ "BNY Mellon buys 101 Barclay for $352M". Real Estate Weekly. 2018-10-02. Retrieved 2019-03-23. ^ a b c "1911 Bank Data-Bank of New York Mellon". Money Economics. 30 June 2012. Archived from the original on 2013-01-29. Retrieved 2012-11-14. ^ a b c "BankEval Bank Financial Profile: The Bank of New York Mellon - Money Economics". www.bankeval.com. 31 December 2016. Retrieved 9 September 2018. ^ Christopher Fleisher (December 2, 2014). "Avoiding possible proxy fight, BNY Mellon gives board seat to activist investor Trian". Pittsburgh Tribune-Review. Retrieved 15 January 2015. ^ a b c d "Bank Of New York Mellon Corp". bloomberg.com. Bloomberg L.P. Retrieved 15 January 2015. ^ "BNY Mellon Relocates Corporate Headquarters". BNY Mellon. July 25, 2018. Retrieved July 30, 2018. ^ Anette Jönsson (September 2, 2009). "BNY Mellon to expand HK presence with 50 new hires". FinanceAsia. Retrieved 15 January 2015. ^ "BNY Mellon". fundweb.co.uk. Fundweb. Retrieved 15 January 2015. ^ a b c "Bank of New York Mellon Profile". Yahoo! Finance. Retrieved 2008-08-19. ^ "BNY Mellon Company Details". crunchbase.com. TechCrunch. November 17, 2014. Retrieved 15 January 2015. ^ a b "The Bank of New York Mellon Corporation" (PDF). boyarresearch.com. Boyar's Intrinsic Value Research. October 31, 2014. Retrieved 15 January 2015. ^ Kingkarn Amjaroen (June 30, 2014). "3 Definitive Reasons Why The Bank of New York Mellon Corporation Has Much More Potential to Rise". The Motley Fool. Retrieved 15 January 2015. ^ "Invested: Corporate Social Responsibility Report 2015" (PDF). BNY Mellon. Retrieved 27 July 2016. ^ a b c "Fourth Quarter 2014 Financial Highlights" (PDF). bnymellon.com. The Bank of New York Mellon. January 23, 2015. pp. 19, 27. Retrieved 15 January 2015. ^ Singh, Sweta (20 July 2017). "BNY Mellon profit beats on higher fees and interest rates". Reuters. Retrieved 24 July 2017. ^ "Pershing LLC Company Profile". biz.yahoo.com. Yahoo. Retrieved 6 February 2015. ^ "Bank of New York's Pershing reorganizes top management". Reuters. March 6, 2013. Retrieved 6 February 2015. ^ Rebecca Keats (January 26, 2016). "Analyzing Bank of New York Mellon's Segmental Performance". Yahoo! Finance. Retrieved 25 February 2016. ^ Huang, Daniel; Dulaney, Chelsey (21 July 2015). "BNY Mellon Profit Surges 48%". WSJ. ^ "The Bank of New York Mellon Corporation 2016 Annual Report Exhibit 13.1". Securities and Exchange Commission. Retrieved 28 April 2017. ^ Mark Battersby (December 31, 2014). "Big boutique mystique — Fund distributor with BNY Mellon". International Advisor. Archived from the original on 2 April 2015. Retrieved 15 January 2015. ^ a b Robert Milburn (November 29, 2014). "Quiet Giant". Barron's. Retrieved 17 January 2015. ^ Bray, Chad (17 July 2017). "Bank of New York Mellon Hires Former Visa Head as C.E.O." The New York Times. Retrieved 24 July 2017. ^ a b Carrick Mollenkamp and Robin Sidel (September 2, 2011). "BNY Mellon's New CEO Is Old Hand". The Wall Street Journal. Retrieved 15 January 2015. ^ "Gerald Hassell Profile". Forbes. Archived from the original on December 23, 2014. Retrieved 5 February 2015. ^ "Form 8-K Exhibit 99.1: Press release". Bank of New York Mellon Corp via SEC Edgar. 26 September 2016. , "Form 8-K". Bank of New York Mellon Corp via SEC Edgar. 26 September 2016. ^ Hilary Burns (November 3, 2014). "From the financial crisis to the Sandusky scandal, this one trait gave success to Karen Peetz of BNY Mellon". BizWomen. Retrieved 15 January 2015. ^ Stephen Taub (May 28, 2008). "BNY Mellon Reshuffles, Names Gibbons CFO". CFO. Retrieved 5 February 2015. ^ Baer, Justin (November 13, 2017). "CEO Scharf Names a CFO in Executive Shuffle at Bank of New York Mellon". Fox Business. Retrieved December 5, 2018. ^ Williamson, Christine (July 19, 2018). "BNY Mellon reports slip in AUM for quarter, but gain for year". Pensions & Investments. Retrieved December 5, 2018. ^ Stein, Charles (23 February 2016). "BNY Mellon Says Vice Chairman Curtis Arledge to Leave Bank". Bloomberg L.P. Retrieved 30 April 2016. ^ "BNY Mellon names Brian Shea CEO of investment services". Reuters. June 25, 2014. Retrieved 15 January 2015. ^ Hayley McDowell (14 November 2017). "BNY Mellon Investor Services head Shea departs amid major shake-up". Retrieved 2018-04-12. ^ "Meet Our Board of Directors". BNY Mellon. Retrieved 24 July 2017. ^ Adam Gell (February 5, 2015). "BNY Mellon elects former Deloitte CEO to board of directors". HITC. Retrieved 5 February 2015. ^ a b c Julie Schaeffer (November 2014). "BNY Mellon's True Return on Investment". Green Building and Design. Retrieved 22 January 2015. ^ a b "Pittsburgh Businesses "On the Frontline" of Corporate Social Responsibility". WESA. December 14, 2014. Retrieved 23 February 2015. ^ a b John Grgurich (June 14, 2013). "Goldman Sachs Defies Great Vampire Squid Label". The Motley Fool. Retrieved 22 January 2015. ^ Melissa Massello (December 6, 2014). "Companies Where Millennials Thrive: BNY Mellon". PreparedU View. Retrieved 6 February 2015. ^ Patty Tascarella (October 24, 2014). "$1M social innovation challenge launched by BNY Mellon, foundation". Pittsburgh Business Journal. Retrieved 18 January 2015. ^ "CDP Ranks Top S&P 500 Climate Performers". Environmental Leader. September 24, 2014. Retrieved 19 February 2015. ^ Karen Henry (November 4, 2015). "CDP Reveals 2015 Climate A List". Environmental Leader. Retrieved 25 February 2016. ^ "Invested: An Interview With Bny Mellon Corporate Social Responsiblity(sic) Director John Buckley". JustMeans. June 6, 2014. Retrieved 15 January 2015. ^ Heather Clancy (September 11, 2014). "The 2014 Dow Jones Sustainability Index: Abbott to Woolworths". GreenBiz. Retrieved 15 January 2015. ^ "Stocks to Track – National-Oilwell Varco, (NOV), SunTrust Banks, (STI), Bank of New York Mellon (BK), Apache (APA)". Techsonian. September 14, 2015. Retrieved 21 October 2015. ^ "Dow Jones Sustainability Indices" (PDF). September 19, 2016. Archived from the original (PDF) on 2016-12-20. Retrieved 18 December 2016. ^ a b "BNY Mellon—Fostering Global Inclusion and Multiculturalism". catalyst.org. Catalyst. June 9, 2013. Retrieved 15 January 2015. ^ Masud, Maha (May 21, 2013). "Interview: President of BNY Mellon Karen Peetz on Women's Leadership". Americas Society Council of the Americas. ^ Maha Masud (May 21, 2013). "Interview: President of BNY Mellon Karen Peetz on Women's Leadership". Council of the Americas. Retrieved 15 January 2015. ^ "25 Most Influential Companies for Veteran Hiring". Diversity Journal. 2014. Archived from the original on 2015-02-27. Retrieved 15 January 2015. ^ "NGLCC names top financial services firms for diversity practices". Affinity Inc Magazine. July 23, 2014. Retrieved 15 January 2015. ^ Jack Milligan (September 11, 2014). "How One Large Bank Fosters Innovation". BankDirector.com. Retrieved 22 January 2015. ^ Mollenkamp, Carrick (2011-10-05). "US and New York Sue BNY Mellon". The Wall Street Journal. Retrieved 2011-10-08. (Subscription required (help)). ^ "King World News Interview: Barry Markopolos". King World News. Archived from the original on 2011-10-10. Retrieved 2011-10-08. ^ Antoine Gara (2015-03-19). "Bank Of New York Mellon Settles Misrepresentation Claims For $714 Million". Forbes. Retrieved 2015-03-24. ^ Reuters. "BNY Mellon to pay $180 million to settle foreign exchange lawsuit". Business Insider. Retrieved 2019-03-23. ^ Baert, Rick; Baert, Rick (2016-01-11). "BNY Mellon faces lawsuit claiming FX transaction overcharges on ADRs". Pensions & Investments. Retrieved 2019-03-23. ^ Law, Jacklyn Wille-Bloomberg. "BNY Mellon Sued, Again, Over Foreign Currency Transactions". biglawbusiness.com. Retrieved 2019-03-23. ^ Wille, Jacklyn. "BNY Mellon to Pay $12.5M in Foreign Currency Exchange Suit". news.bloomberglaw.com. Retrieved 2019-03-23. ^ "Bank of New York Mellon Investigated for Lost Data Tape". www.bankinfosecurity.com. Retrieved 2019-03-23. ^ "Connecticut widens probe into BNY Mellon data breach". Reuters. 2008-05-23. Retrieved 2019-03-23. ^ "Bank of NY Mellon data breach now affects 12.5 mln". Reuters. 2008-08-28. Retrieved 2019-03-23. ^ "Bank of NY Mellon Breach Much Bigger than First Announced". www.bankinfosecurity.com. Retrieved 2019-03-23. ^ Egan, Matt (2015-08-31). "A big bank's glitch adds to confusion on Wall Street". CNNMoney. Retrieved 2019-03-23. ^ "UPDATE 2-BNY Mellon pricing glitch affects billions of dollars of..." Reuters. 2015-08-26. Retrieved 2019-03-23. ^ "BNY Mellon to Pay $3M to Settle Probe of System Outage". American Banker. Retrieved 2019-03-23. ^ "BNY Mellon's payment woes its second big tech glitch in 18 months". Reuters. 2016-12-08. Retrieved 2019-03-23. ^ Tempey, Nathan. "Report: More Than Half The City's Privately Owned, Allegedly Public Spaces Aren't Playing By The Rules". Gothamist. Retrieved 2019-03-23. ^ Landa, Marjorie (18 April 2017). "Audit Report on the City's Oversight over Privately Owned Public Spaces" (PDF). comptroller.nyc.gov. Retrieved 2019-03-23. ^ "Tribeca Citizen | BNY Mellon's Lobby Is Finally Open to the Public". Tribeca Citizen. Retrieved 2019-03-23. ^ "NYC Capital Planning Platform". NYC Capital Planning Platform. Retrieved 2019-03-23. ^ "BNY Mellon to pay $14.8 million to settle intern bribery probe". Reuters. 2015-08-18. Retrieved 2019-03-23. ^ Yan, Sophia (2015-08-18). "BNY Mellon pays $15 million to settle intern probe". CNNMoney. Retrieved 2019-03-23. ^ "SEC.gov | SEC Charges BNY Mellon With FCPA Violations". www.sec.gov. Retrieved 2019-03-23. ^ "Bank BNY Mellon bans staff from working at home". Evening Standard. 2019-03-06. Retrieved 2019-03-23. ^ "BNY Mellon rethinking decision to yank work-from-home option after outcry". Pittsburgh Post-Gazette. Retrieved 2019-03-23. ^ "BNY Mellon shelves tighter work-at-home rules after staff uproar". American Banker. Retrieved 2019-03-23. ^ "Russia sues Bank of New York for 22.5 bln usd". Forbes.com. May 17, 2007. Archived from the original on December 2, 2008. Retrieved 2009-01-07. ^ Parloff, Roger (September 22, 2009). "Russia settles suit against U.S. bank for a pittance". CNN. Retrieved 2011-05-27. ^ "BNY Mellon Reaches $34 Million Settlement With South Carolina Relating to Securities Lending Litigation - Global Custodian – The Leading quarterly magazine covering the international securities services industry". www.globalcustodian.com. Retrieved 2019-03-23. ^ Woehr, Maria (2011-01-27). "South Carolina Sues BNY Mellon". TheStreet. Retrieved 2019-03-23. ^ "BNY Mellon settles Sigma lawsuit for $280 million". Reuters. 2012-07-06. Retrieved 2019-03-23. ^ Tim McLaughlin (January 23, 2015). "BNY Mellon, State Street get profit boost from forex trading". Reuters. Retrieved 23 January 2015. ^ Margie Manning (January 7, 2015). "3 reasons BNY Mellon keeps growing in Tampa". Tampa Bay Business Journal. Retrieved 17 January 2015. ^ Annebritt Dullforce (June 27, 2014). "FT 500 2014". Financial Times. Retrieved 17 January 2015. ^ Andrew Cunningham (November 13, 2014). "World's Safest Banks 2014". Global Finance. Retrieved 17 January 2015. ^ Andrew Cunningham (October 1, 2013). "World's Safest Banks 2013". Global Finance. Retrieved 17 January 2015. ^ Paul Wallace (March 2, 2014). "The Top 500 Banking Brands, 2014". The Banker. Retrieved 17 January 2015. ^ "Investor Relations". BNY Mellon. Retrieved 2018-04-20. ^ a b c "BNY Mellon Banks On Expanded Sponsorship Portfolio". IEG SR. September 16, 2013. Retrieved 22 January 2015. ^ Michael Long (February 9, 2012). "BNY Mellon names historic Boat Race". SportsPro. Retrieved 22 January 2015. ^ "Boat Race sponsors donate sponsorship to Cancer Research UK | UK Fundraising". fundraising.co.uk. Retrieved 2017-11-04. ^ Michael Long (September 11, 2013). "BNY Mellon partners 49ers, Levi's Stadium". SportsPro. Retrieved 22 January 2015. ^ "BNY Mellon rows to the Balding beat with the boat race". London Evening Standard. April 2, 2013. Retrieved 22 January 2015. New York Life Insurance and Trust Company Records[permanent dead link] at Baker Library Historical Collections, Harvard Business School. * indicates the U.S. subsidiary of a non-U.S. bank.